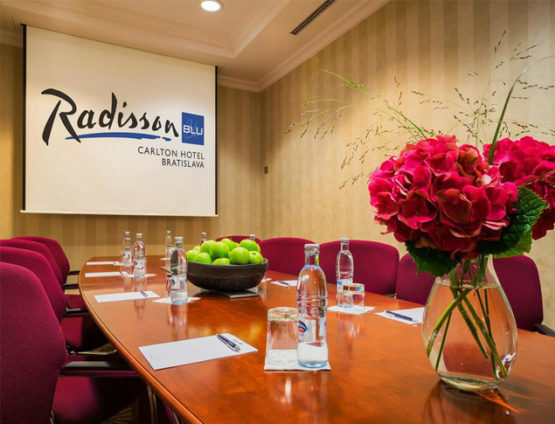 Hotel is located only 15 minutes walking distance from the historical center of Bratislava and 45 minutes from Vienna aiport and 15 minutes from Bratislava Airport by a car. 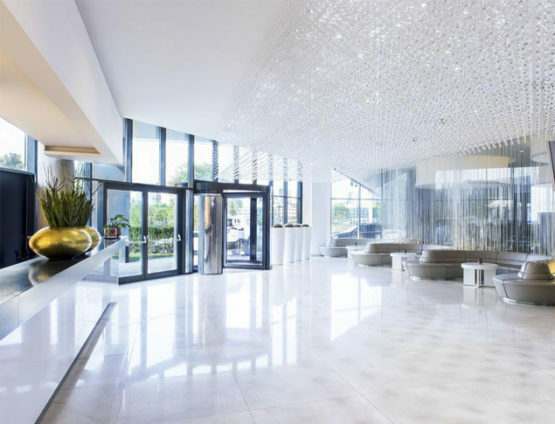 You can arrive by boat, helicopter or limousine. 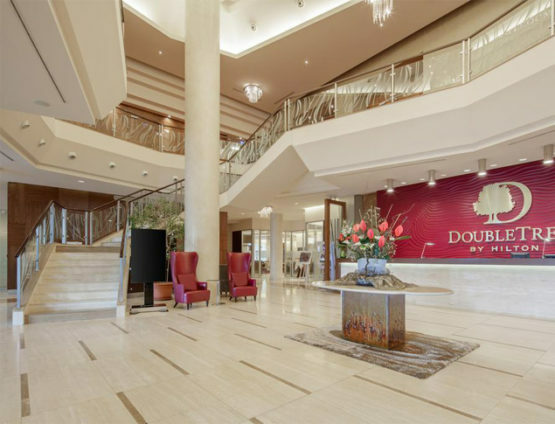 Hotel services include a Zion spa center where you can relax, last minute dry-cleaning or tailoring services. 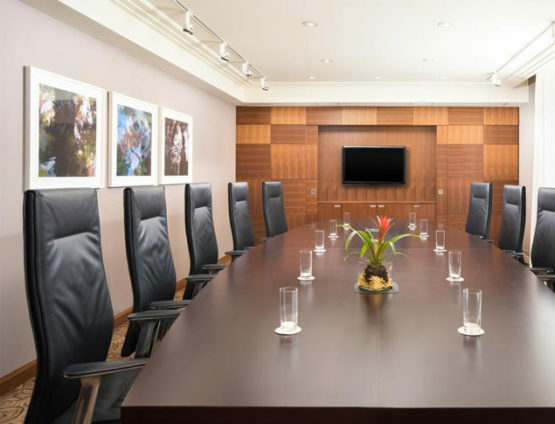 For your business needs there is a Business Service Center located on the first floor offering 24-hour administrative services and administrative space. 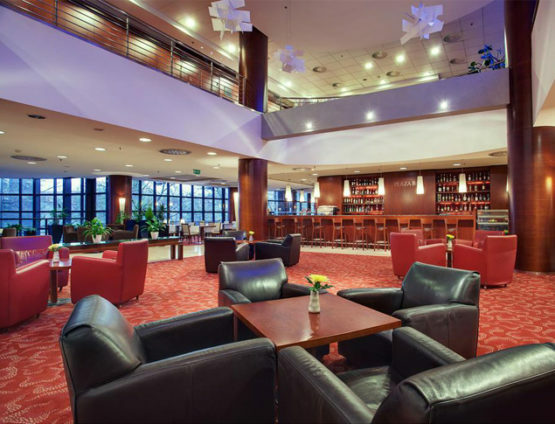 This hotel is located in EUROVEA – Bratislava’s new city center just 15 minute drive from Bratislava International Airport and 35 minutes from Vienna international airport. 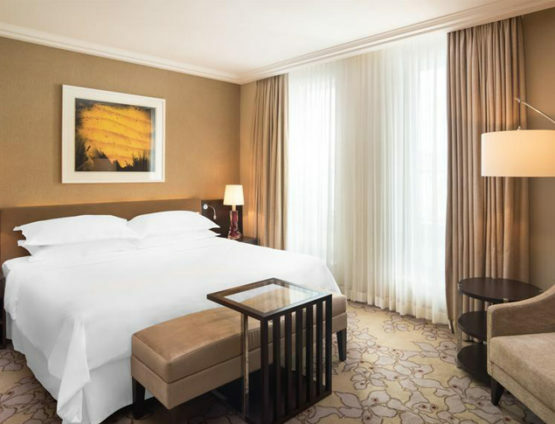 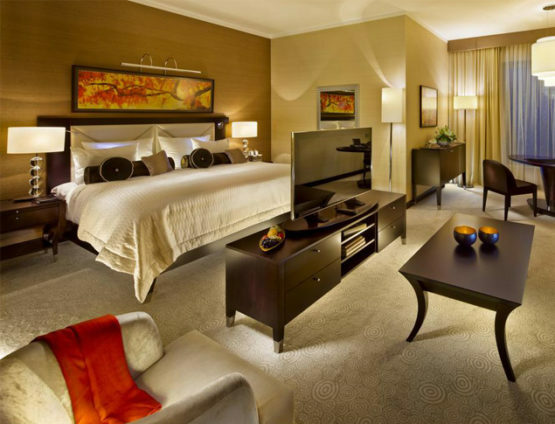 Sheraton offers 209 guest rooms including 23 luxury suites and an exclusive Club Lounge. 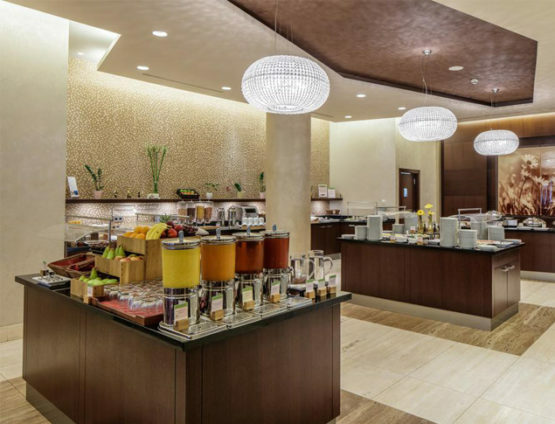 Shine Spa for Sheraton offering heated swimming pool, Finnish sauna, steam bath, and a wide variety of massages and treatments. 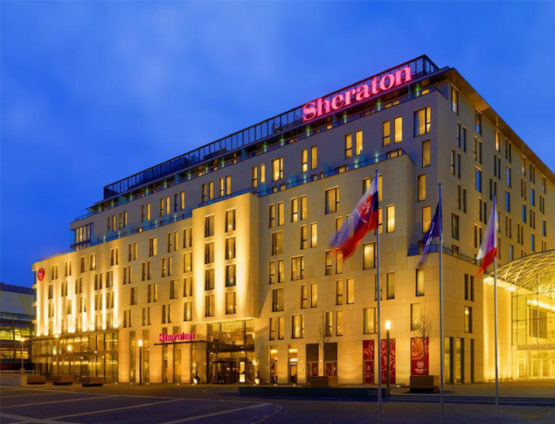 Sheraton Fitness centrum is available 24/7. 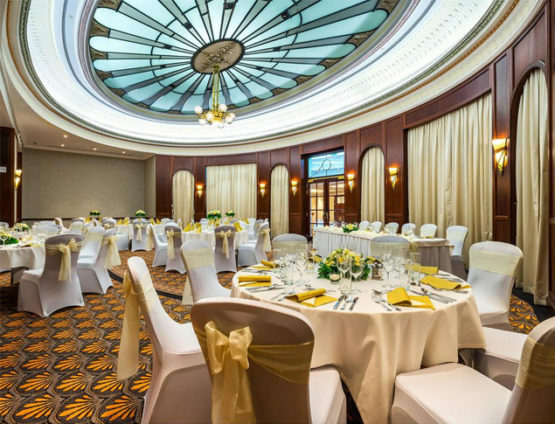 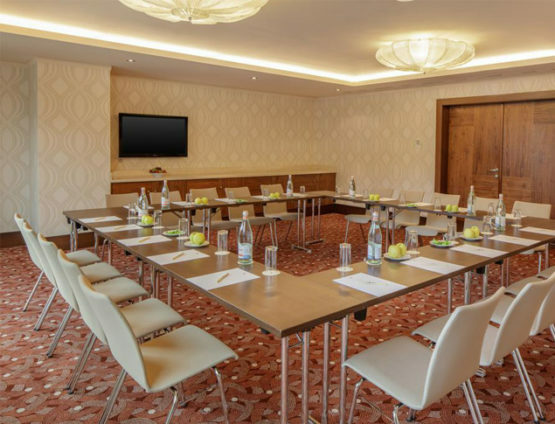 For your meetings Hotel offers 700 square meters of flexible meeting space including spectacular Ballroom. 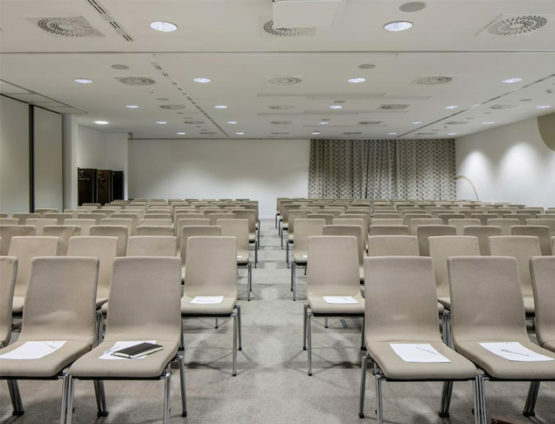 Crowne plaza is located in downtown Bratislava and offers 224 comfortable guest rooms & suites, 14 function rooms with more than 1200 square meters meeting space equipped with modern technology. 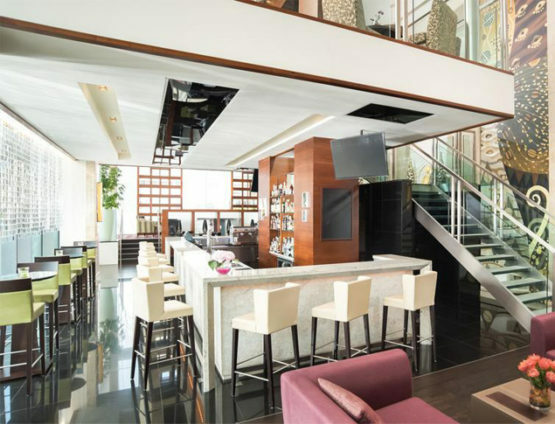 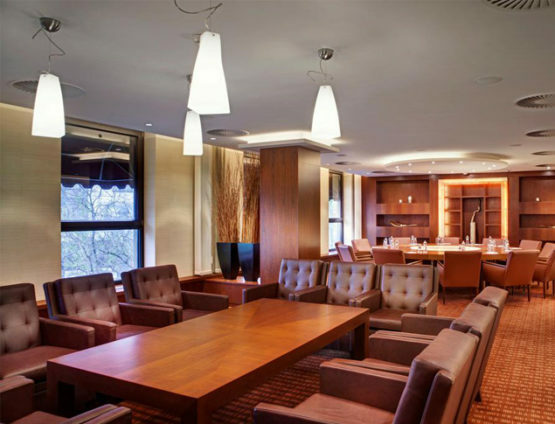 Club Lounge combines benefits of an exclusive club with deluxe business hotel with its business equipment and refreshments. 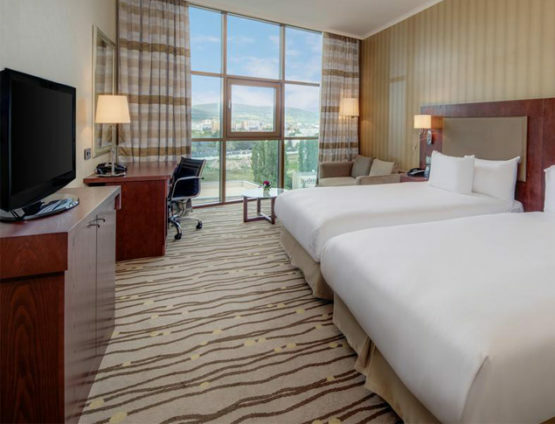 Hotel have multiple Leisure & Spa Facilities like fitness center, indoor pool with counter flow, sauna, solarium and massage service. 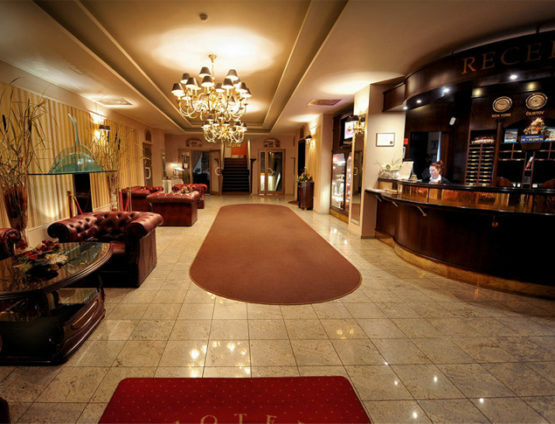 You can order limousine service, business center, garage, car wash and hair & makeup studio. 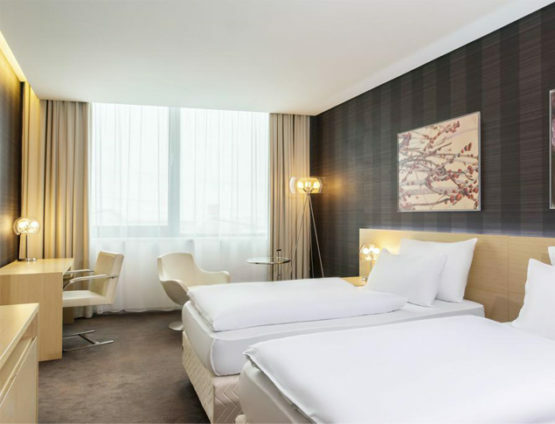 DoubleTree by Hilton is a newly built hotel located next to the Ice hockey stadium and Polus shopping centre, only a few minutes far from the historical centre. 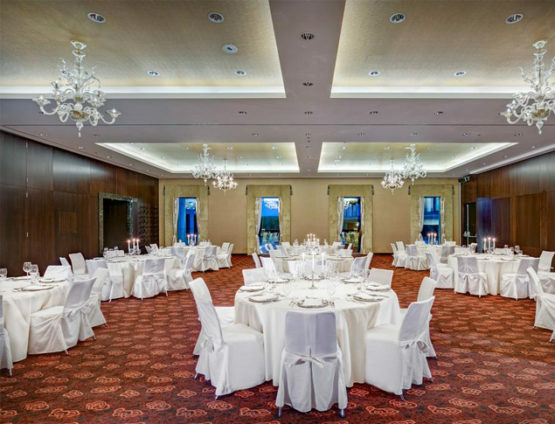 The hotel offers 120 rooms, Italian restaurant, bar, 24 hours open reception, spa with swimming pool, sauna, and a fitness centre. 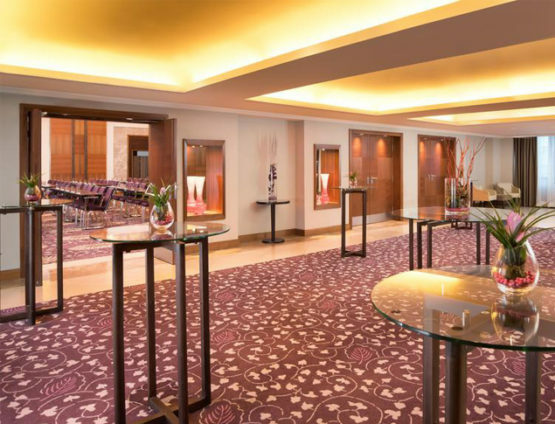 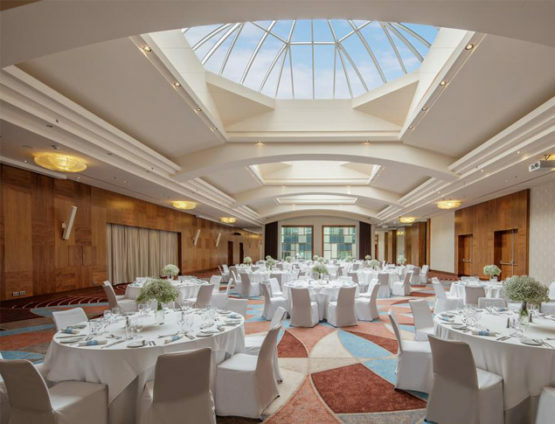 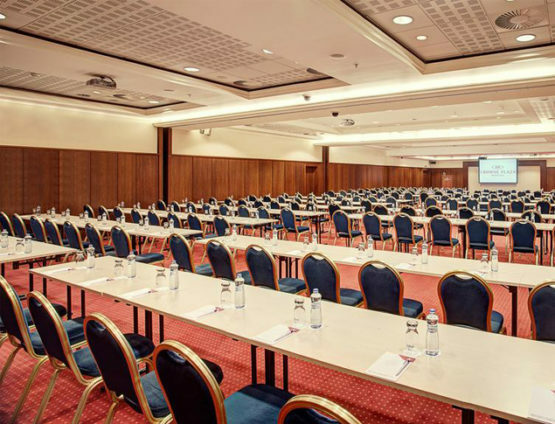 The lobby area of the Bratislava DoubleTree by Hilton features a grand staircase leading to extensive conference facilities including a 500 sqm ballroom and seven other meeting rooms from 52 to 150 sqm with great capacity. 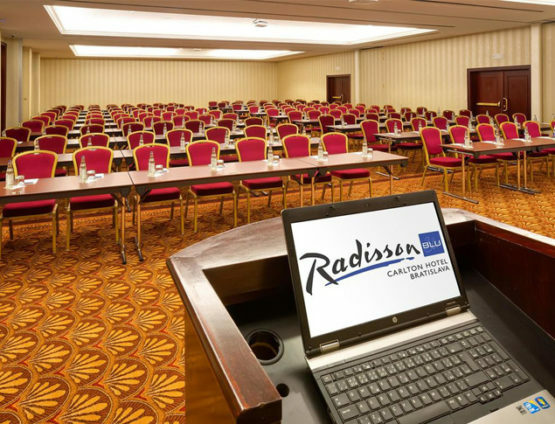 Radisson Blu Carlton is a traditional top-class hotel. 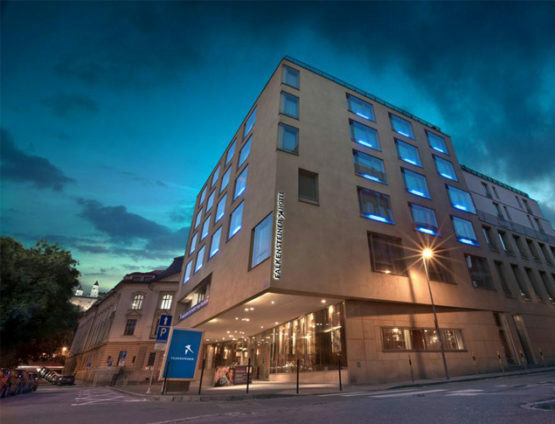 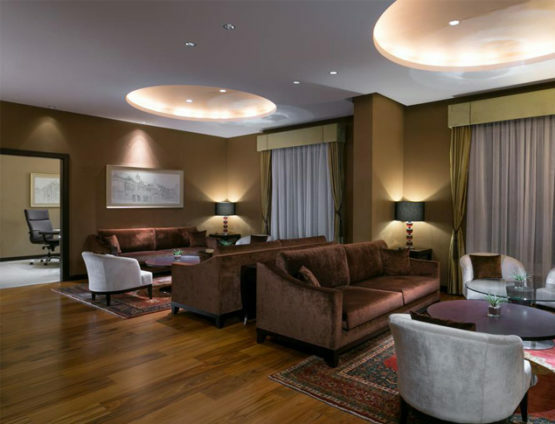 It is one of the poshest hotels in the city in one of its primest locations, in the middle of the picturesque Old Town. 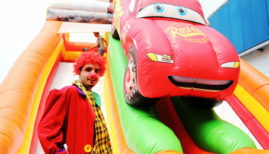 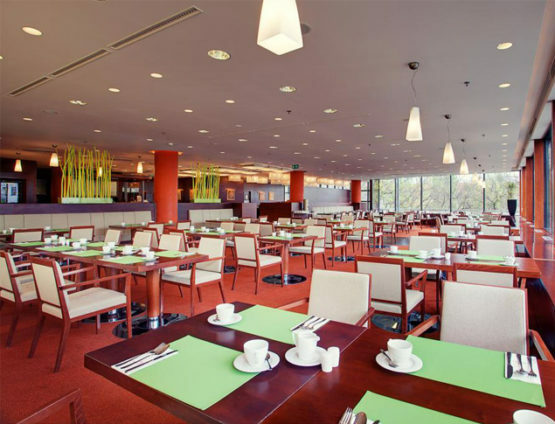 The hotel is in a very safe area with restaurants, cafeterias and cake shops nearby. 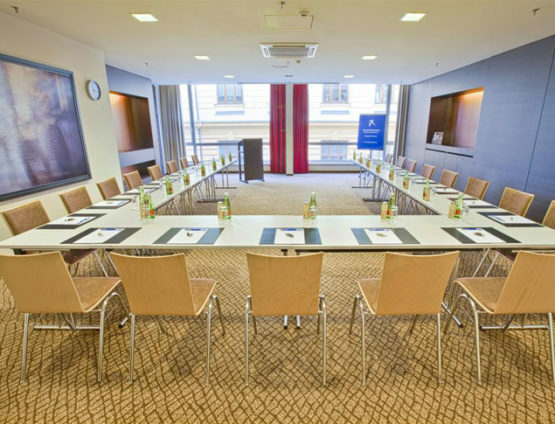 It is accessible by public transport, and most of Bratislava’s historical attractions are located within walking distance. 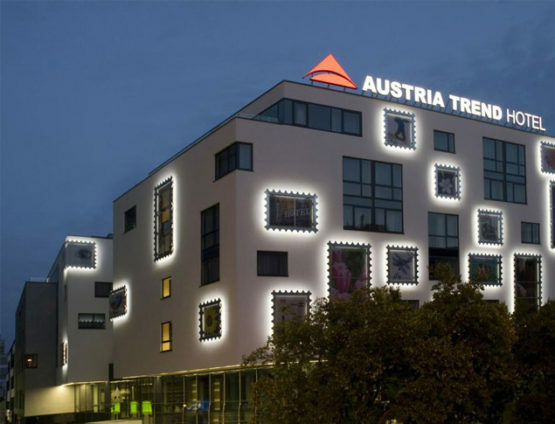 Austria Trend Hotel is a modern luxury hotel in a central location by the bustling Obchodna Street. 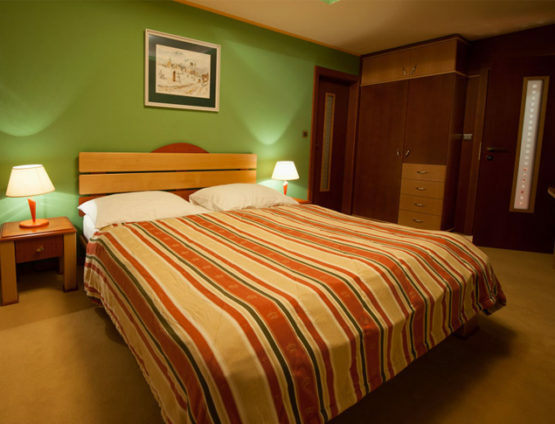 The use of the hotel wellness and fitness centre with cardio equipment and sauna is free of charge for guests. 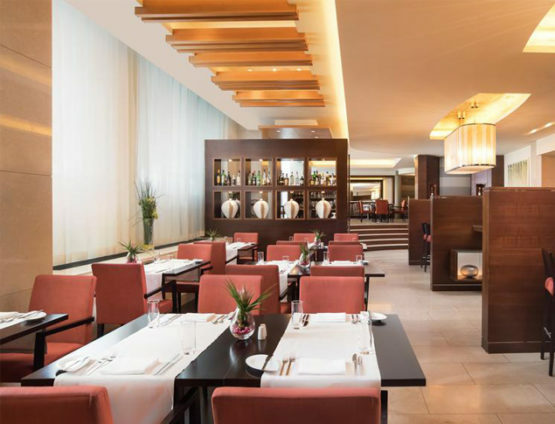 The hotel restaurant serves international cuisine. 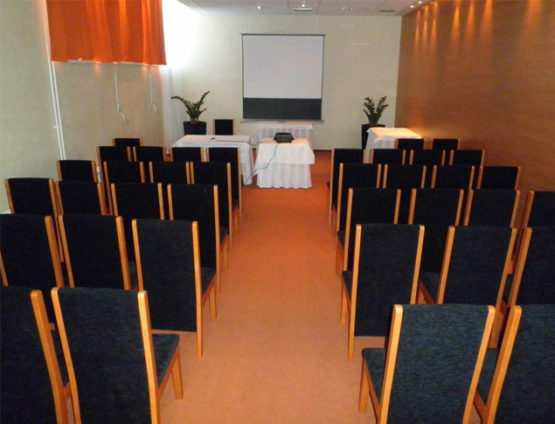 Austria Trend Hotel is well suited for conferences and other business events, with total meeting capacity of 250 seats. 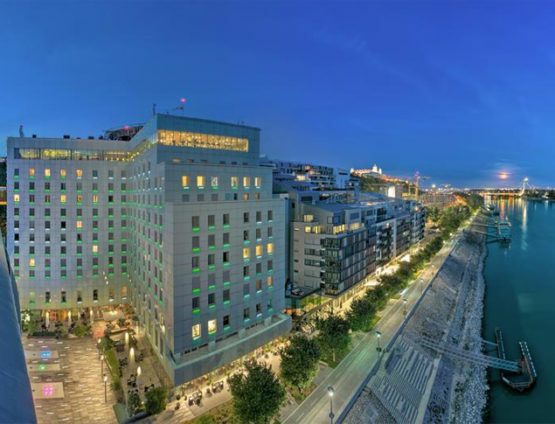 The total capacity of the hotel is 398 beds in 199 rooms. 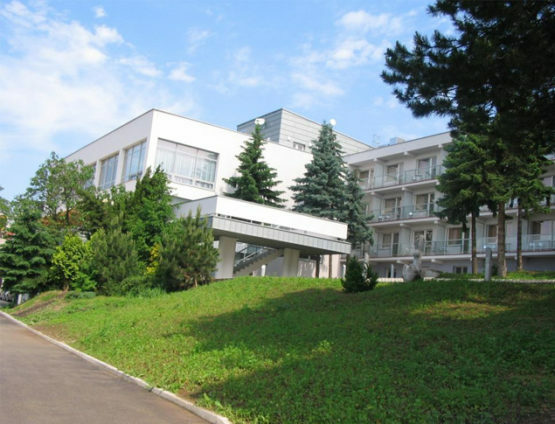 Sorea is a completely renovated hotel, sunny and clean, located on the castle hillside overlooking the Danube river, surrounded by trees. 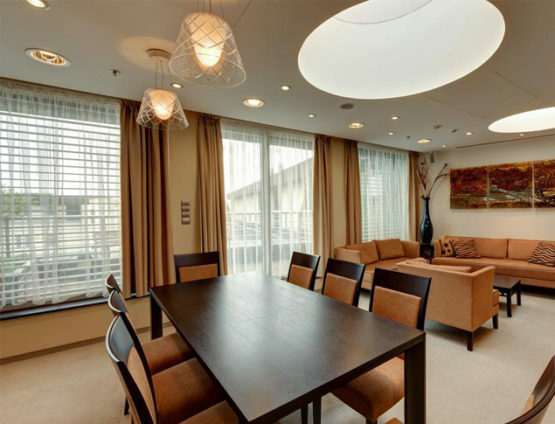 Only a short tram ride from the downtown of Bratislava, Sorea offers a reasonably priced 3-star option. 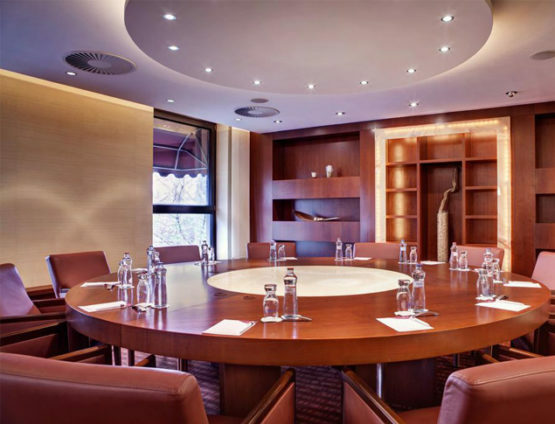 Sorea focuses on a business clientele, offering extensive meeting and conference facilities. 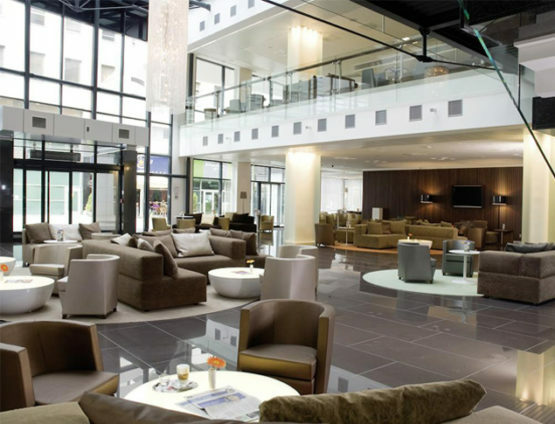 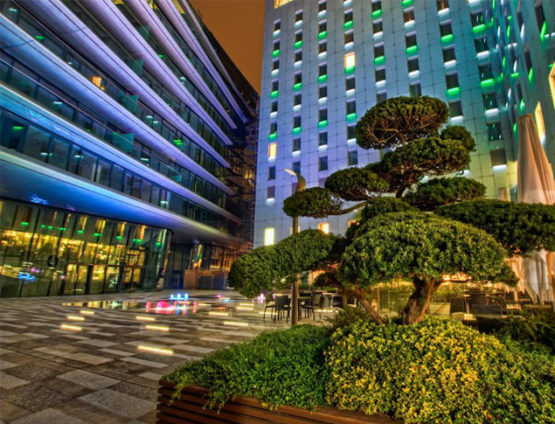 Falkensteiner Hotel Bratislava is a large business hotel located on the edge of the historical center of Bratislava. 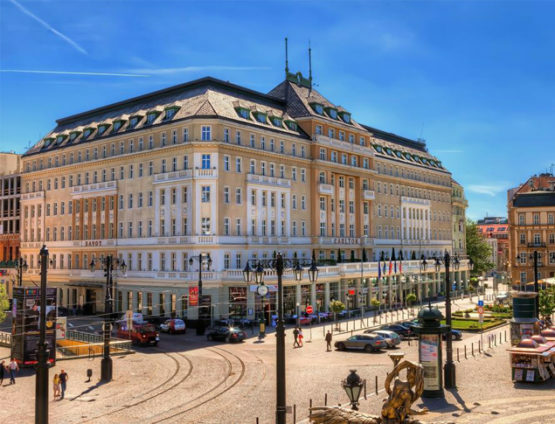 It is located by the busy Staromestska Street, which separates the Old Town from the Castle Hill area. 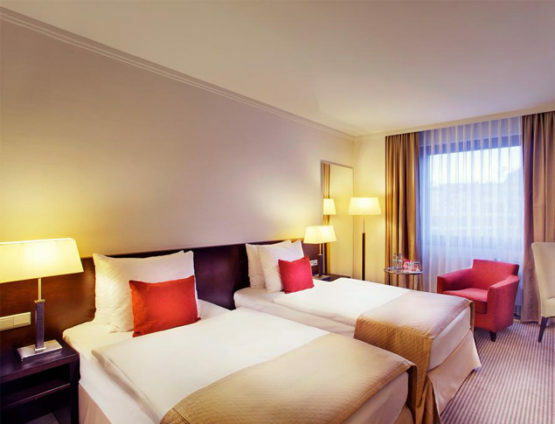 Falkensteiner offers 162 rooms of four types: Comfort and Superior rooms, larger Executive rooms and five Suites. 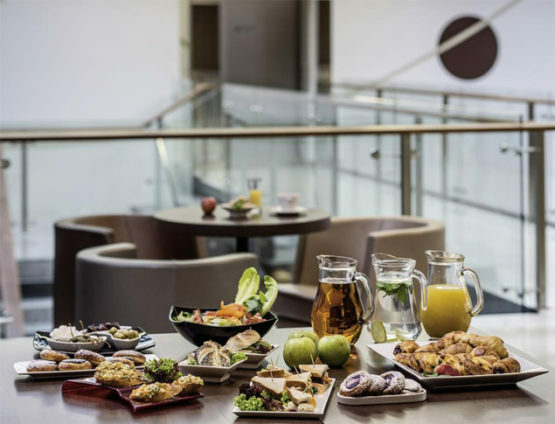 There is buffet free of charge available during the day, newspapers and magazines, internet connection, large LCD TV. 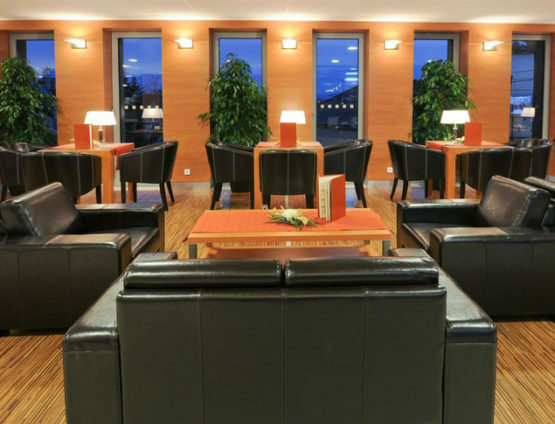 The lounge is open 24/7. 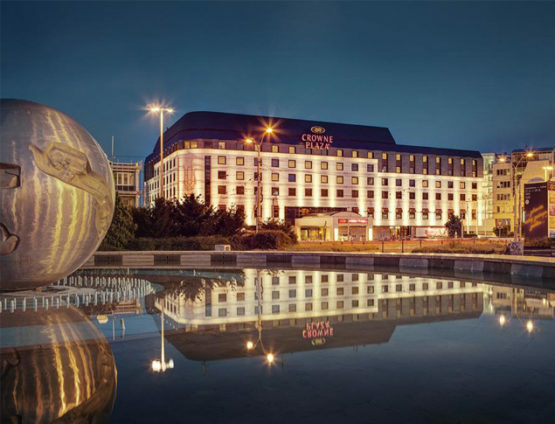 Hotel Gate One is a new, modern hotel located in Trnavka district immediately next to the Bratislava Airport and Avion Shopping Park, one of Bratislava’s largest shopping centres. 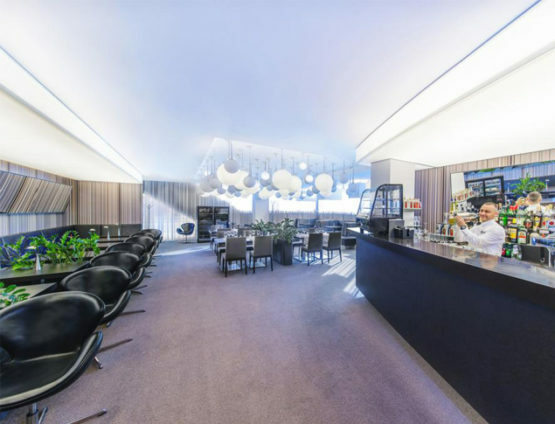 Gate One offers accommodation in Executive rooms and Premiere Suites with separate living room, bar corner and kitchenette. 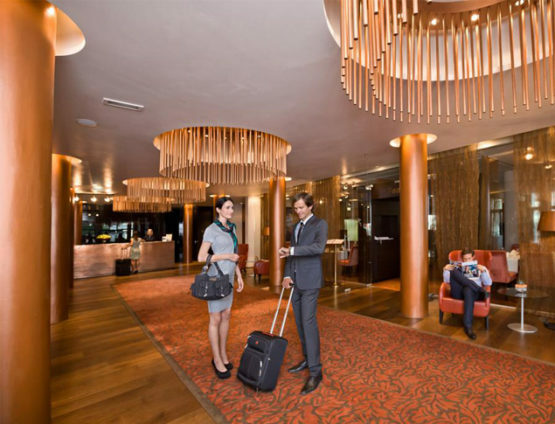 The airport is about 10 minutes by walk. 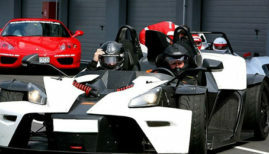 The city centre can be reached by car in under 15 minutes. 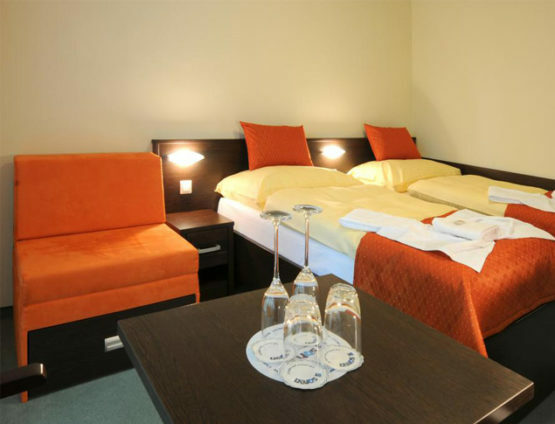 Hotel with a tradition, offers its services since 1930. 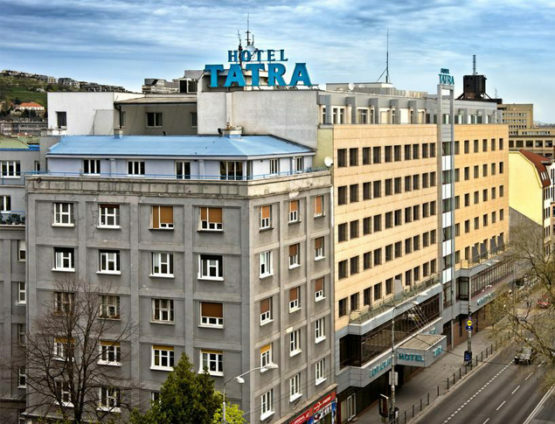 Hotel Tatra boasts over 80-years history, hundreds of satisfied guests, and attractive location on the edge of the city centre. 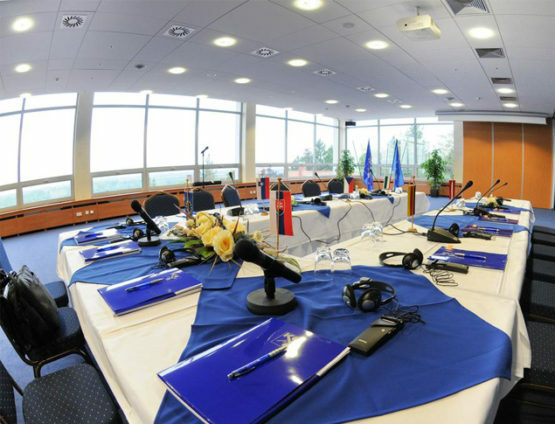 Hotel Tatra has also a modern Congress rooms with cutting-edge technical equipment. 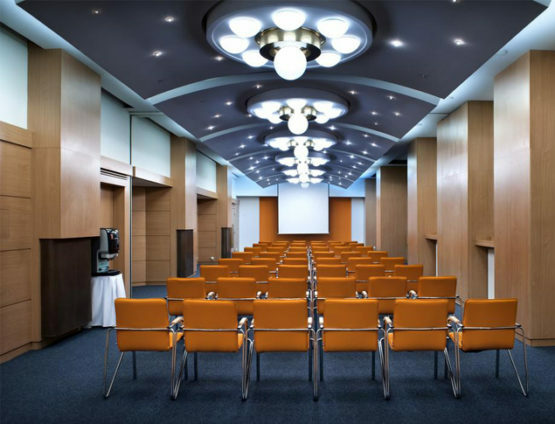 It is an ideal place to organize meetings, conferences, seminars, receptions, social or working meetings and events. 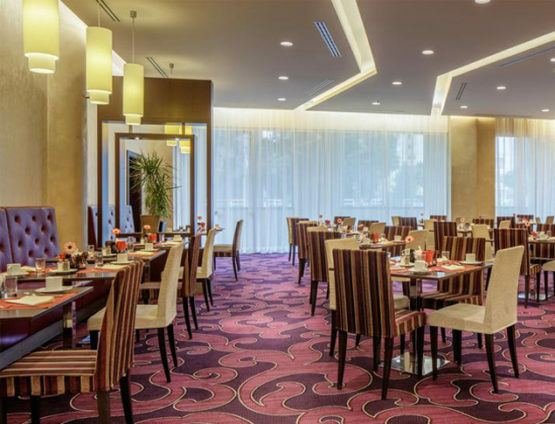 Depending on the requirements of the client, the hotel is able to customize and create space for up to 350 people. 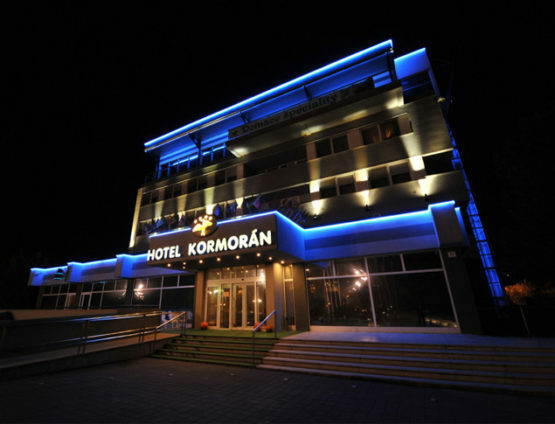 Hotel Kormorán,Šamorín – Čilistov is located in a peaceful atmosphere on the bank of the Danube river close to the Gabčíkovo dam, just 20 km from Bratislava. 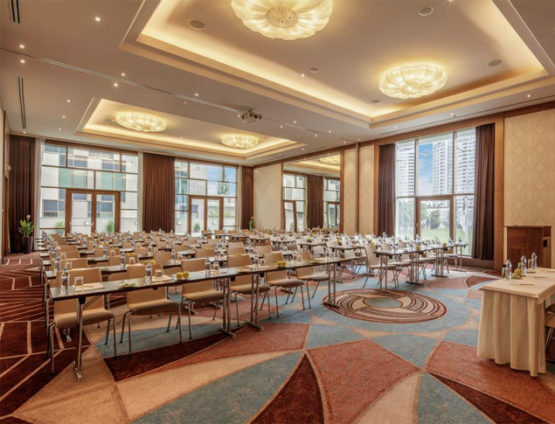 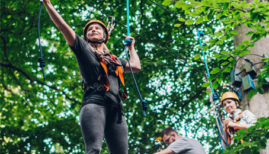 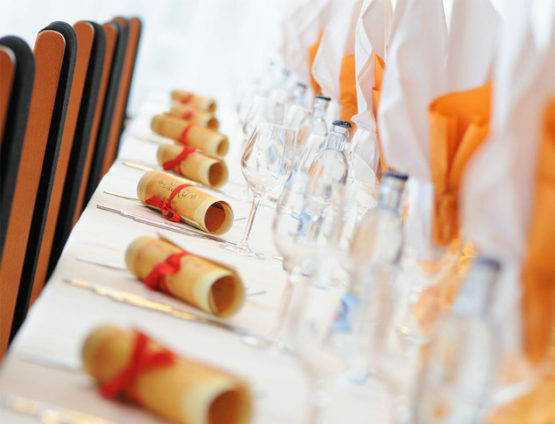 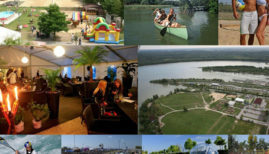 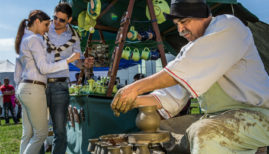 In addition to accommodation and catering services, it offers the possibility of organising conferences, congresses, seminars, training courses, exhibitions, as well as weddings and various corporate or family celebrations.